That’s the second time in one week that Michel Aoun endorses the single district with proportional representation electoral law. What is quite shocking here is that Aoun has been pushing for the Orthodox Gathering Law for quite a while, and that the two laws have compelete opposite consequences (See [here] for the single district law and [here] for the Orthodox law). Another major difference is that the single district law brings the Christians 38.4% of the MPs (The parliament quotas stay the same 50% -50%) while the Orthodox Law gives Christians the power to elect 50%. It’s really very weird to see Aoun endorsing the Single district law after refusing over and over again any electoral law that doesn’t give the power to Christians to elect all their MPs. But why is Aoun endorsing the single district law? Not all Christians support the Orthodox Gathering Law, and most of those who oppose it tend to be closer to the FPM. After all the FPM did start as a secular alternative before becoming more and more sectarian. Even though Aoun managed to show himself as the strongest Christian Leader by gaining the support of Gemayel and Geagea in his electoral law, he did lose some “secular Christian Votes”. By pushing for the Single District Law, Aoun is showing his “secular side” in an attempt to get back what he lost because of the OG law by simply pushing for its complete opposite, a law that would highly destroy sectarian parties on the long run. Do not be fooled by the Joint Committees decision to pass the OG Law. It does not mean the law is going to make it through the parliament, and even if it does make it, the President’s veto is waiting for it in Baabda. Apparently some of the LF and kataeb MPs (Such as Nadim Gemayel) are going to vote against the law, which means that the draft law might not reach the 65 votes it needs to get out of the parliament. Aoun made himself too sectarian by asking for the law, and he might have lost support within his Muslim allies. If no electoral law makes it, the elections might be done based on the 1960 law, and Aoun knows that a big number of his MPs will be elected (or subject to the influence) by Muslim votes. That’s bad for Aoun, and he needs a backup plan so that he doesn’t become the leader that will lose his MPs in Muslim-populated districts because he advocated the OG law. Even though Hezbollah gave his Green light to the OG law, there’s definitely a confused Shia population out there, on the ground, questioning its support to a sectarian Michel Aoun. 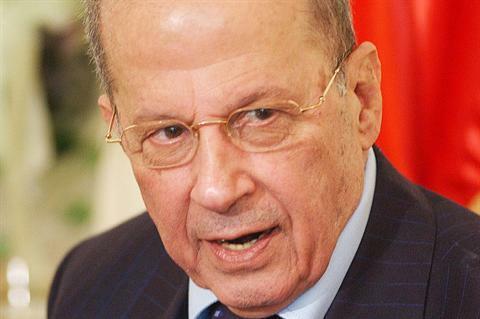 The first time Aoun pushed for the law, it was in an interview on Al-Manar TV on Friday. What’s happening is very interesting. Aoun made sure he spread confusion among March 14 parties, made a small political maneuver and gained some extra Christian support few months before the elections. But what Aoun quickly understood is that he can’t gain on the national scene if he stays too sectarian. Aoun’s ultimate goal is not June 2013. It’s May 2014. You can’t be (at least publicly) sectarian and live in Baabda palace at the same time. Aoun knows that he scared a bit of the Shia audience and got a Sunni veto on him. The OG Law might bring him a parliamentary majority and a huge Christian bloc, but that is not enough for him to be a President. He needs a national consensus, and advocating the OG Law is the perfect way for getting a Muslim veto. By going on Al-Manar, Aoun is mainly speaking to the Shia audience, and by advocating the least sectarian law available, Aoun is trying to convince the Shia population that he is not a sectarian. Hariri makes a speech on the 14th of February where he speaks in favor of civil marriage, and says that the Future Movement is a civil party. He also says he wants to stick to the Taef agreement while asking for its amendment. Today, Aoun is pushing for the most sectarian and for the most secular electoral laws Lebanon might ever see at the same time. Same strategy, different people. Hariri struggles for the premiership while Aoun is struggling for the presidency. You have to convince both the sectarians and the seculars before the elections. You need to be the protector of your sect, and the consensual cross-sectarian candidate at the same time. And the only way to do it is by advocating different and sometimes opposite laws and decrees simultaneously. It’s not only Jumblatt that keeps changing his stances. After all, that’s how you apparently make it in Lebanese politics. Posted in Lebanese Politics, Michel Aoun, Parliamentary Elections, Politics on February 27, 2013 by Ramez Dagher.